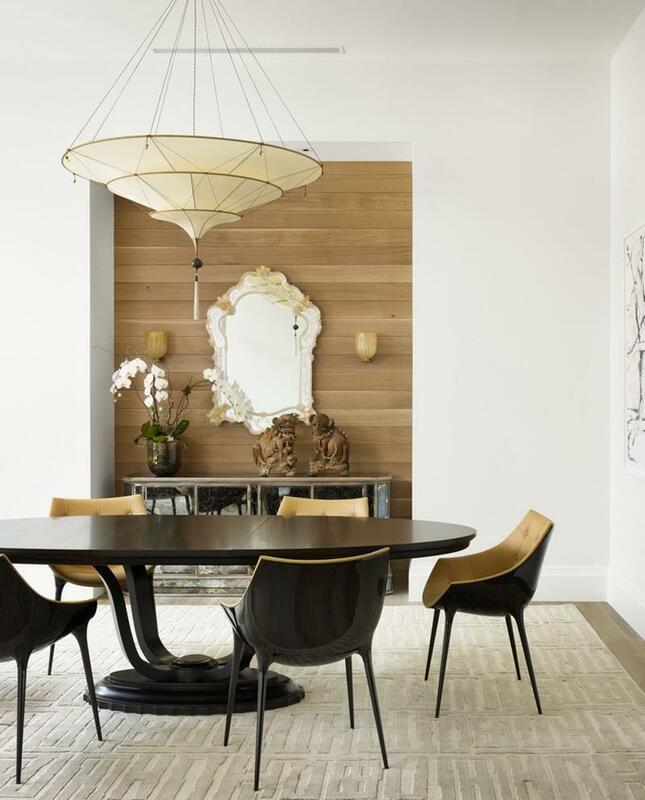 There are a few tricks of the trade that find themselves into the quiver of virtually every interior designer out there. One of those tricks happens to be the accent wall, something that can instantaneously and simply change the vibe of an entire living space, and all without a great expense. For some, the idea of having an accent wall might be too much. If you find yourself among the ranks of people who think that way, then perhaps it’s time you took a different view. No matter what room in your home you’re talking about an accent wall can go a long way toward making things as beautiful as they can be. Below, we’re going to take a look at 15 amazing accent walls. From ones in central living spaces to those in bathrooms, we think you’ll see why accent walls are a preferred trick for interior designers and why you should include one or two in the design of your own home. One pattern that can really make a dramatic impact on the vibe of a space is Chevrons. 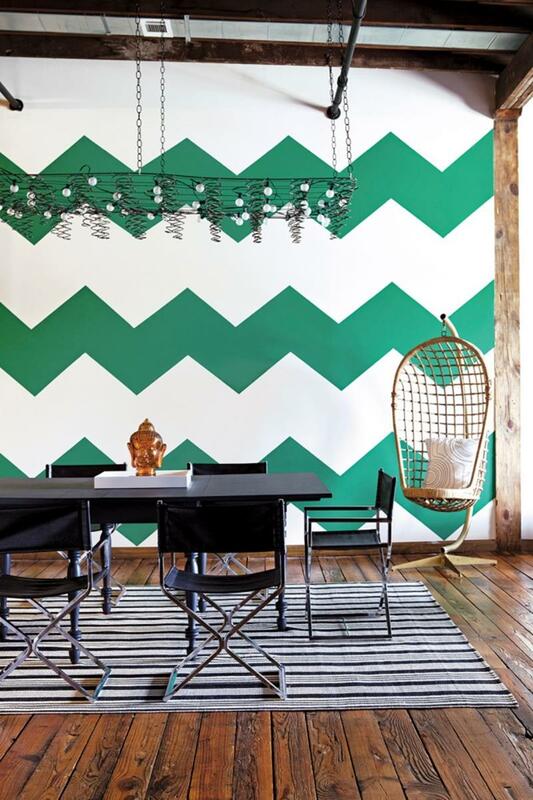 Check out the effect of these giant green-and-white chevrons here. 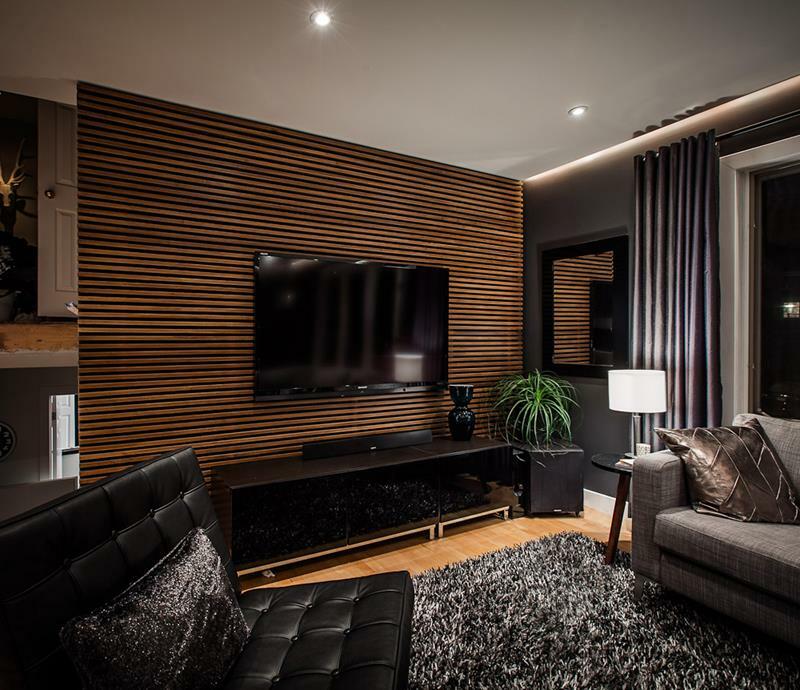 The thin wooden lines the make up the accent wall behind the television in this family room really contribute to the space’s contemporary flair. The pink and white stripes of the accent wall behind the bed in this gorgeous bedroom definitely imbue the space with a feminine touch. 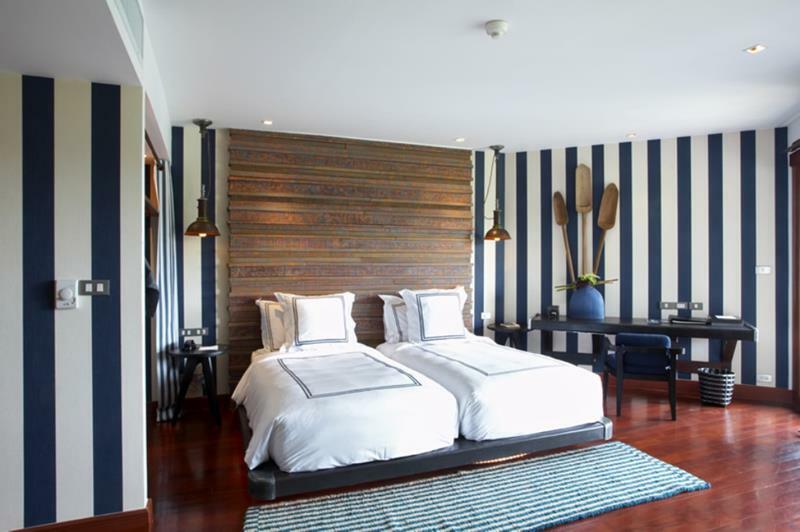 Here, the choice that has been made for the main walls of this bedroom is quite bold. The accent wall behind the bed doubles down on that choice and makes the whole space sing as a result. 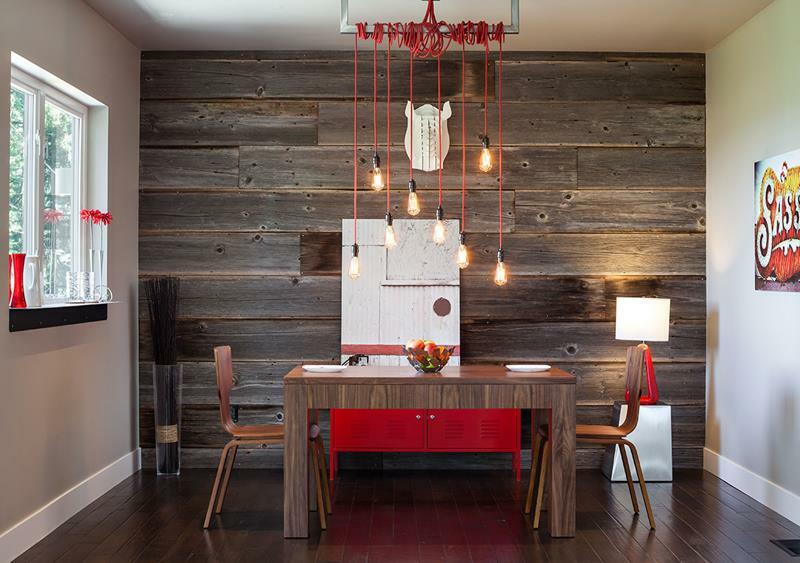 This dining room features an alcove that’s backed by a wooden accent wall. This choice adds a sense of depth to the sense of negative space created by the all-white walls.